The Westin Atlanta Perimeter North offers guests the best of both worlds: a peaceful hotel location in Sandy Springs next to a private lake, as well as hassle-free access to downtown Atlanta, just a short drive away. Recently renovated and featuring award-winning service, our luxury hotel is dedicated to ensuring that you leave us feeling better than when you arrived. Settle in to intuitively appointed rooms and suites, which include our Heavenly Bed, an LED TV and in-room Starbucks coffee. Challenge yourself to a workout in the fitness center, or swim in the outdoor heated pool. Our Sandy Springs hotel also provides access, for an additional fee, to the adjacent Concourse Athletic Club, one of the country's premier fitness facilities. Dine by the lake at Savor Bar & Kitchen or enjoy delicious in-room dining. 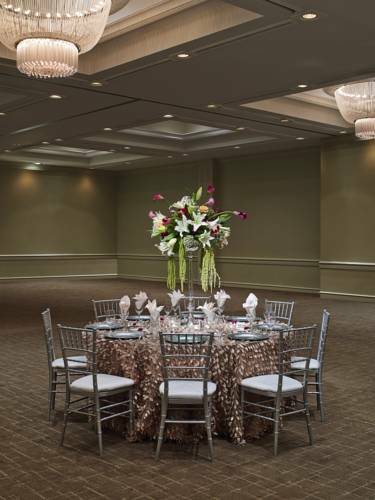 Host a meeting or event in our venue spaces, including a ballroom that seats 600. If you're interested in exploring, you can take our complimentary hotel shuttle service to nearby Perimeter Mall. Savor bar and kitchen: Open for breakfast, lunch and dinner, our signature hotel restaurant offers a modern American menu with a distinct Atlanta flair. Start your day in Sandy Springs with a meal and Starbucks coffee, or join us in the evening and dine outdoors by the lake.